Here we are. We have only watched two episodes of this new Doctor Who series and the man is not wasting any time, isn’t he? 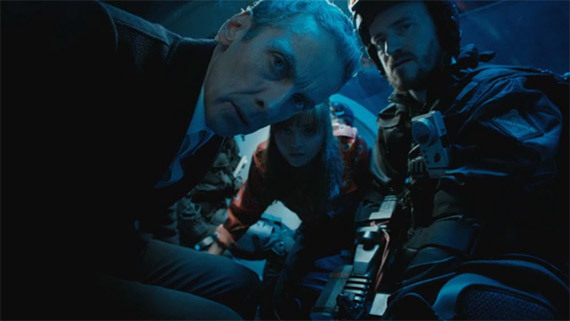 No, instead of spending the episode wandering around, the Doctor and Clara have an adventure quite unique, as they get miniaturised and put inside a damaged Dalek, one that, by mistake, has been turned “good”. Of course, the significance behind this story is deeper than that. Are all the Daleks bad by definition or is it just that the Doctor is filled with prejudice? 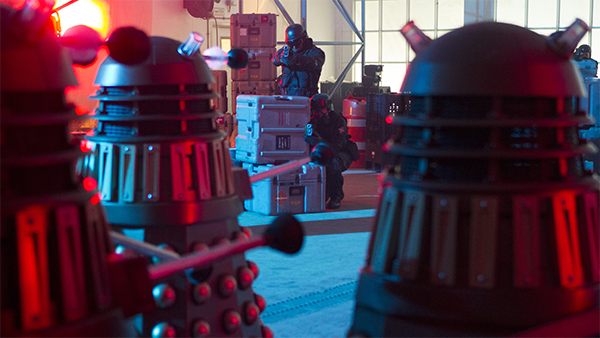 Can a Dalek become good? Can the Doctor become bad? Those are the questions that ‘Into the Dalek’ sets up for the rest of the series. But not everything from these 45 minutes is dark and melancholic, because Clara seems to be getting a romantic plotline thanks to the addition of Samuel Anderson’s Danny Pink, a former soldier who develops an instant crush on her. But we barely had any time with the two of them, so we will have to wait and see. For me, the best part of the episode is the moment after the damaged Dalek looks into the Doctor’s soul. He has seen the beauty of the universe, but he has also felt hatred. In the end, the Dalek tells him that “I am not a good Dalek, YOU are a good Dalek.” I never thought a cylindrical alien could move me this way. -I quite liked Danny. It looks like there is a backstory there that will be expanded as we get to know him better. -Did I imagine that or does the TARDIS look like a library now? I swear I spotted book shelves all over the place. -Hey, that was Dolorous Edd from Game of Thrones! Only for three minutes –as he was instantly killed, but I do love it when GoT actors appear in Doctor Who. –Innerspace: I wasn’t the only one thinking about that movie, right? -I’m even more curious now about that Missy character. Can’t wait to see what she has in store. -Next week’s episode looks like it is going to be fun. Finally, I needed the break. But also, it’s about time we had a Robin Hood story.